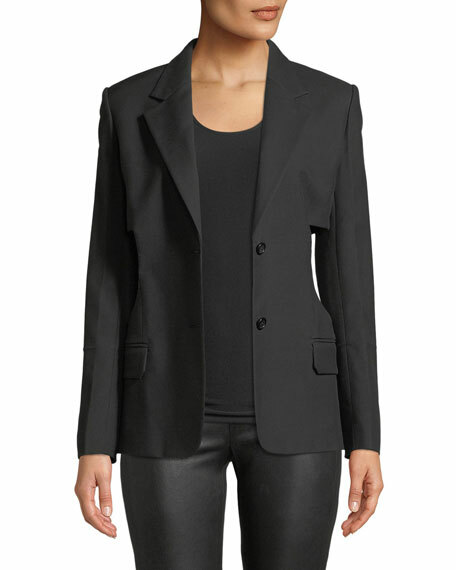 Helmut Lang single-breasted canvas blazer. 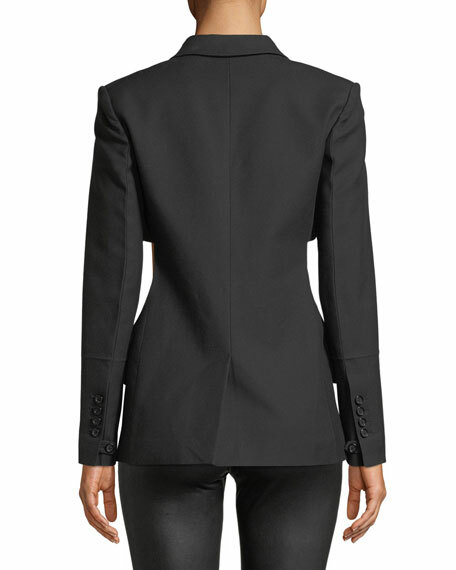 Notched lapels; deep V neckline. For in-store inquiries, use sku #2502667.